Welcome to the Homepage of Captain Shackelford’s Company of Alabama Red Rovers. The Alabama Red Rovers is a very specialized impression in the community of Texas Revolution reenacting. It is our hope that this site has a good mix of Historical evidence on the original company of Alabama Red Rovers as well as pertinent information on portrayal of a mid-19th Century Military Company and our hobby of Reenacting. 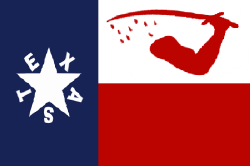 We are an organization of progressive Texas War of Independence living historians that represent the volunteers that came from the Northern Alabama communities of Courtland and Tuscumbia to aid in the fight for Texas Independence in which most would share later in the fate of the rest of Fannin’s Command. The organization is not limited to just the impression of the Alabama Red Rovers, but many members interpret other time periods and impressions. 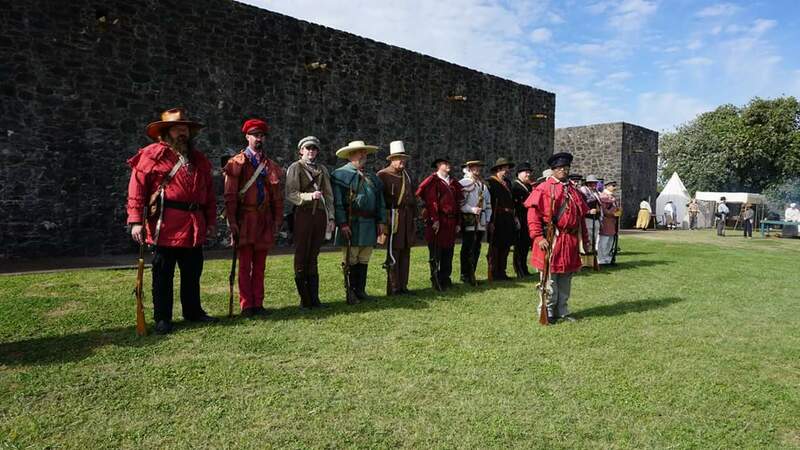 Living History is presented in the forms of Battle Reenactments, Company Drills, School Demonstrations, Parades, Local Events and Festivals. If you have any questions, are a descendant of these original brave Alabamians, or would like to try your hand at the Historical Reenacting please feel free to contact us. Blessed be the Lord my strength which teacheth my hands to war, and my fingers to fight.